With so many technology solutions in the market today, it’s important to diversify your offering as much as possible. Making sure you’re able to handle all your clients’ technology needs can mean the difference between sinking and swimming. Let’s face it—even cable companies today are branching out and diversifying their offering, trying to take the biggest piece of the pie they can. However, it’s hard to deem yourself an expert at everything that’s available today. With the hours in a day still stuck at 24, you may feel overwhelmed at trying to make time to stay competitive. Unfortunately, there’s no Great and Powerful Oz handing out certificates deeming us knowledgeable in specific subjects. But what if there was an easier path to diversification? 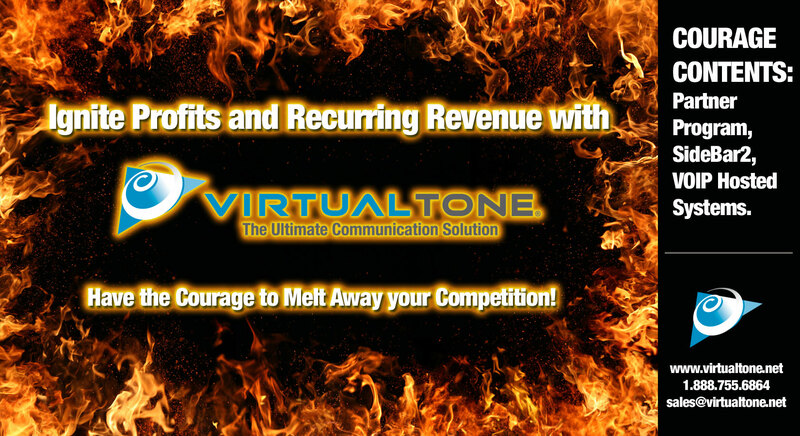 This path does exist, and it leads to offering VoIP services to your client base with VirtualTone. If there is one thing a business cannot survive without, it’s a phone system. And, as their technology provider, there’s no reason they should be getting this service from anyone other than you. You already control their network, and there’s probably a few times that come to mind where you’ve had to mess with their phone system just because you’re the tech company. If you’re ultimately the one throat they choke for all things tech, why not make a profit on something you’re already going to be servicing anyway? Quote anytime, anywhere with our pricing tool—no need to wait on us! The best part? You can write your own paycheck, and determine how much you’d like to increase your monthly recurring revenue with VoIP. Have the courage to go after higher profits without needing a “brain” for VoIP. Become a Gold Agent Partner, and ignite your recurring revenue!